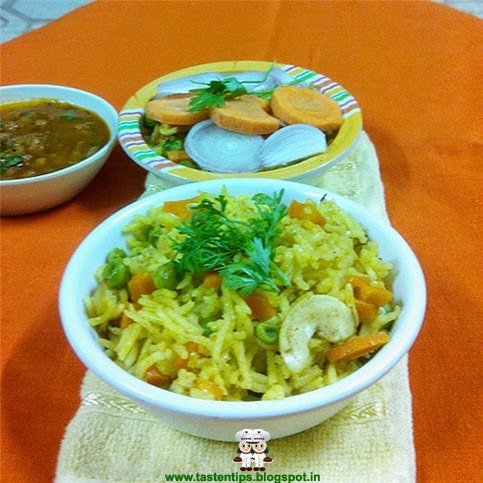 Vegetable Pulao is a delicious rice dish loaded with lots of vegetables. This is a great complete meal by it self and perfect for lunch box. 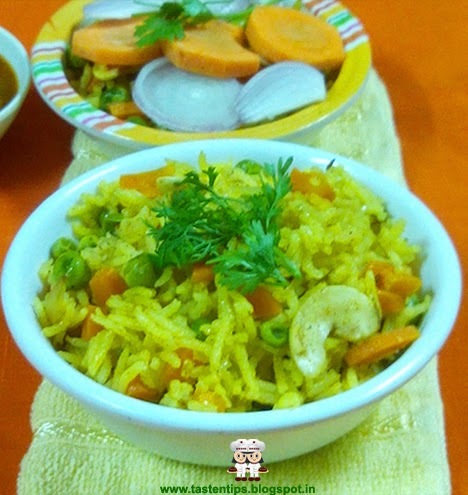 Vegetable Pulao is a simple, quick and a very healthy dish. Veg pulao can be paired with a raita, pickle and roasted papad. 1. Wash rice till water runs clear and soak for 15-20 mins. stir it for 10-15 sec. 3. Add onion and stir till golden brown. and saute for some time. 5. Add rice, water, salt and mix well. 6. When it starts boiling, simmer the flame and let it boil for 5 mins. 7. Close the lid and cook it for another 15 mins. 1.You can cook pulao in pressure cooker with whistle also. 2. In place of turmeric powder saffron can be added. 3. Ghee also can replace oil. 5. Fresh grapes can be placed by raisins. Your pulao looks really good!! 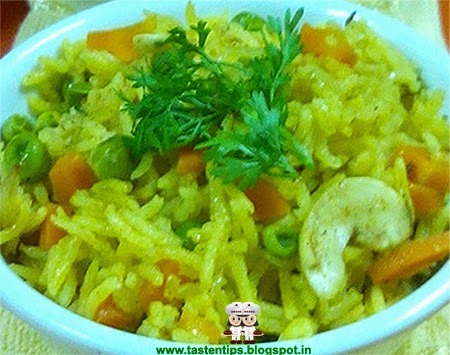 I love vegetable pulao, it is very comfy and filling recipe. This looks so delicious!